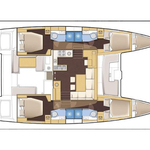 Giant II is a name of sailboat Lagoon 450 ,which has been manufactured in 2017. You can charter this vessel from port Athens around Athens. 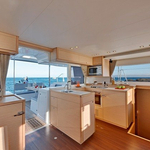 Giant II is furnished with 10 beds. 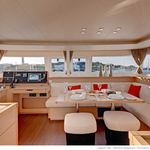 Berths on the sailing boat are configured in 10 scheme. 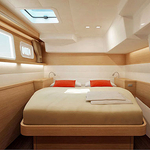 6 bedrooms are placed inside the boat Giant II. 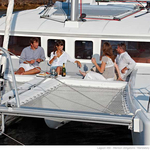 Use this site to find other vessels here: Catamarans Athens. 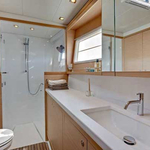 Crew members can feel comfy on this sailboat , because there are 4 heads for their disposal. 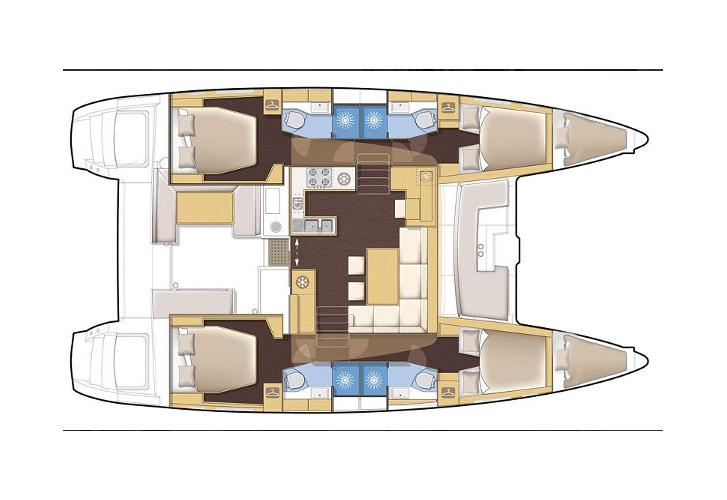 Yacht's dimensions are: LOA - 13.96 m , width - 7.84 meters and 1.3 m of draft. 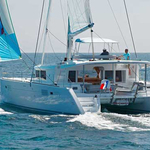 On the sailboat there is following equipment: Mainsail with lazy jack, Gps, Autopilot, Dinghy, Anchor electric windlass, Bimini top, Bed linen. . Nonrefundable caution is at the level of 3500.00 EUR. 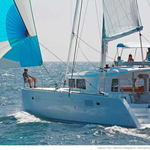 In our search engine you can quickly check avalailability of sailing boat Giant II from Athens by opening this link here: Catamarans Greece.